A shift away from billable hours, organic growth and strong results from its heartland divisions has fuelled PwC’s solid revenue growth for its results to 30 June 2017. PwC Australia hit 10.4 per cent revenue growth for the 12 months to June 30 this year, which chief executive Luke Sayers said is 99 per cent thanks to the firm’s organic growth. “We are always scanning the market for acquisition opportunities that make commercial sense and will add value to our clients, but we are not interested in buying expensive growth when we have such strength and capacity to grow in our existing business,” he said. Standouts for the year include the firm’s assurance practice, with “high single digit” revenue growth. This was backed by several high profile traditional audit wins, including Australian Unity, Ausgrid and Food Retail Group. PwC’s legal business grew its revenue by 68 per cent, finishing the year with 23 partners and 105 lawyers. Mr Sayers flagged a shift away from billable hours in its advisory work as key to delivering for clients in the last year. 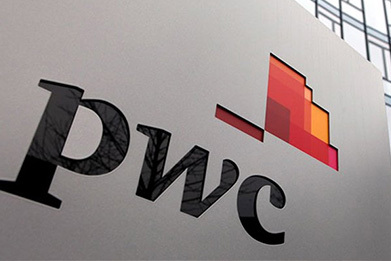 “PwC delivered a fully integrated advisory service that utilised more than 60 staff across different professional capabilities including commercial and financial advisory, legal, tax, debt capital advisory, due diligence and financial model audit services. PwC did not bill any work on hourly rates with payment to PwC wholly contingent on the project’s commercial and financial success,” he said. In the firm’s consulting arm, strategy had its strongest year since its 2014 acquisition. Other acquisitions, including Strategic Investments Group in November, also bore fruit in 2017. The next 12 months will see a focus on digital transformation and a continued focus on the firm’s cultural and social policies and initiatives, backed by its 40-40-20 gender diversity targets which were established in 2015. PwC recently confirmed 91 partner admissions for 2017, up from the firm’s previous record intake of 72.